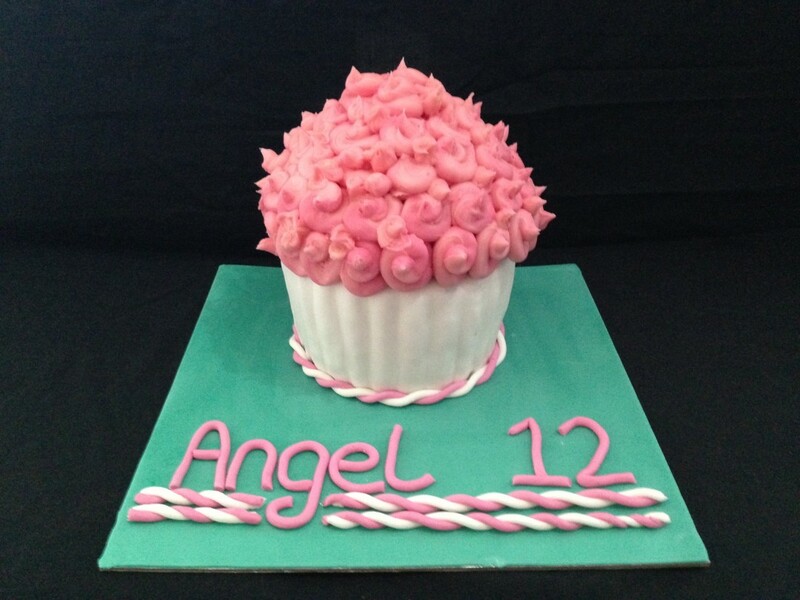 An extra large cupcake, flavoured with candy floss and candy floss buttercream. Pink, white and turquoise colours. Made to feed 20 people.